I’m really glad I took the time to attend the panel, called “The Changing Attitudes of Rabbinical Students on Israel: Perspectives from the Deans.” The deans in question were HUC-JIR’s Renni Altman; JTS’s Danny Nevins; and Hebrew College’s Daniel Lehmann (who I’m pretty sure is actually the president of Hebrew College, but no matter). The creation of the panel was prompted by an article by Daniel Gordis published last year in Commentary: “Are Young Rabbis Turning on Israel?” The response was of special interest to me as an enrolling rabbinical student — but also because part of what prompted Gordis’s article was the commemoration of Yom Hazikaron at Hebrew College (where I’ve decided to enroll). The article caused quite a bit of uproar when it was first published: I happened to get an earful about it in October when I ended up sitting next to a man from the Republican Jewish Coalition on a trolley in Arlington Cemetery on the way to the dedication of the Jewish Chaplains Monument. When he found out I was applying to rabbinical school, he immediately brought up his horror about the article (published some five months earlier). His interpretation? Rabbinical students today more closely align themselves with the philosophy of J Street than with that of AIPAC. For those not in the know, the reason this is so upsetting to some is that J Street engenders a lot of suspicion — if not downright hatred — among a large (or possibly the most outspoken) part of the American Jewish community. As for example: In November 2010, I attended a Federation lunch event that featured a debate between a conservative and a progressive about the meaning of the mid-term elections, particularly for the Jews. (The conservative viewpoint was represented by Bill Kristol, with whom I almost never agree, but who was miles more articulate than the progressive, who was unfortunately ridiculous — and whose name I can’t remember.) They argued for an hour, disagreeing about everything. Until someone asked their opinions of J Street. Kristol responded that he thought the organization was a front for a pro-Palestinian agenda. The progressive: “I agree.” The room exploded in laughter. This is not an uncommon view. J Street’s slogan is “Pro-Israel. Pro-Peace.” — but its opponents generally don’t believe any of its stated positions. It is routinely labeled “anti-Israel.” Recently I witnessed a Facebook exchange between an acquaintance of mine and an acquaintance of his about the BDS controversy at the Park Slope Co-op. (And if you haven’t seen “The Daily Show’s take on this vote, you must.) The person I didn’t know crowed about the failed boycott, adding the comment, “Take that, J Street.” When my friend pointed out that a) the BDS movement precedes the founding of J Street by several years, and b) that J Street opposes the BDS movement (and has position papers on its website to this effect), the former was unswayed. And he remained unswayed even when a VP at J Street weighed in on the feed that she has spoken on numerous occasions about J Street’s opposition to BDS. And so it went. I’m nervous about wading even a little into the Israel-Palestine issue here, as it is, in the words of Rabbi Nevins, “unbelievably messy.” And I don’t really want to get it into it (more on that below), in no small part because it’s just not an issue I know that much about. I’m taking this risk, though, to explain the stakes and to make the point of how important it was that J Street addressed the issue. And it made me happy to see leaders of the schools I applied to at the conference. Whether or not you agree with J Street, they’re one of the few Jewish organizations that allows expression of a variety of viewpoints on Israel (as for example, when J Street noted that it disagreed with Peter Beinart but invited him to speak at the conference anyway). One of the things that I love about Judaism is that it values debate; but on Israel some believe that there are things we can’t say. Also on the panel was Professor Steven Cohen of HUC-JIR, who had conducted a survey of JTS rabbinical students’ attitudes towards Israel in the wake of the article. All of the deans expressed disagreement with Gordis’s conclusions, and Cohen’s data seems to back them up. I suppose the deans’ remarks could be interpreted as merely defensive, but I’ve met and spoken with all three of them, and they are all thoughtful, responsible rabbis. Plus, they belong to the generation to which Gordis was drawing his contrast with current rabbinical students. But Cohen’s study did concur with the RJC staffer’s interpretation of Gordis’s article (if not his condemnation): Rabbinical students tend to agree with AIPAC less than with J Street or Rabbis for Human Rights — or the New Israel Fund, which was rated highest in political affiliation by students. All of the deans acknowledged a shift in their students’ attitude towards Israel: “an evolution, not a revolution,” as Rabbi Altman characterized it. 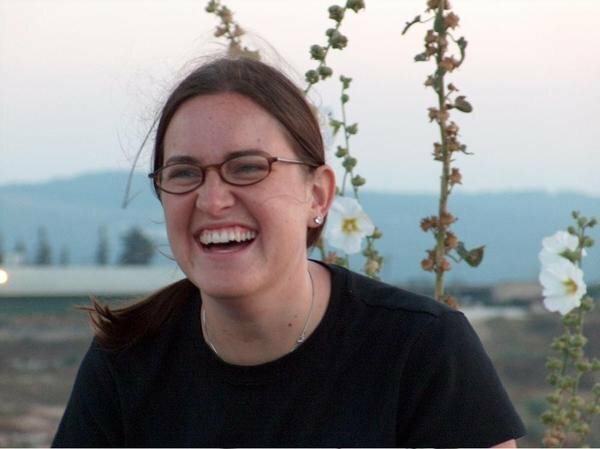 They agreed that rabbinical students do tend to hold more varied, diverse, and complex opinions about Israel than their predecessors. Gordis and his ilk attribute this to the fact that our generation didn’t grow up during the Six Day and Yom Kippur Wars, when existential threats to Israel were inescapable. But as Rabbi Nevins pointed up, our generation did grow up when bombs were exploding at pizza parlors and discos in Jerusalem, making Gordis’s point “more of truism than a deep truth.” Rabbinical students today — and indeed, young Jews in general — tend to prioritize different values in their support of Israel: human rights, say, versus the previous generation’s emphasis on loyalty. What most resonated with me was Rabbi Lehmann’s observation that Israel is now much less of a motivating factor to enter than rabbinate than it once was. Indeed, I remember thinking that it wouldn’t have even occurred to me that a North American Jew would become a rabbi because of Israel (I’ve certainly never heard anyone cite it). Ultimately, the panel was an interesting glimpse into my future classmates and some of the issues I’ll be grappling with. I was reassured to hear about the diversity of opinion among my soon-to-be peers, and I’m looking forward to furthering my own Israel education.